Named as one of the TOP baby registry items in 2017 & 2018, we couldn't be happier to announce that Sleep & the City is NOW a DockaTot sleep expert! Read our review below on the Dockatot Grand (ages 9+ months) and check back for our Newborn review coming soon! Questions about whether or not this product is right for your family? 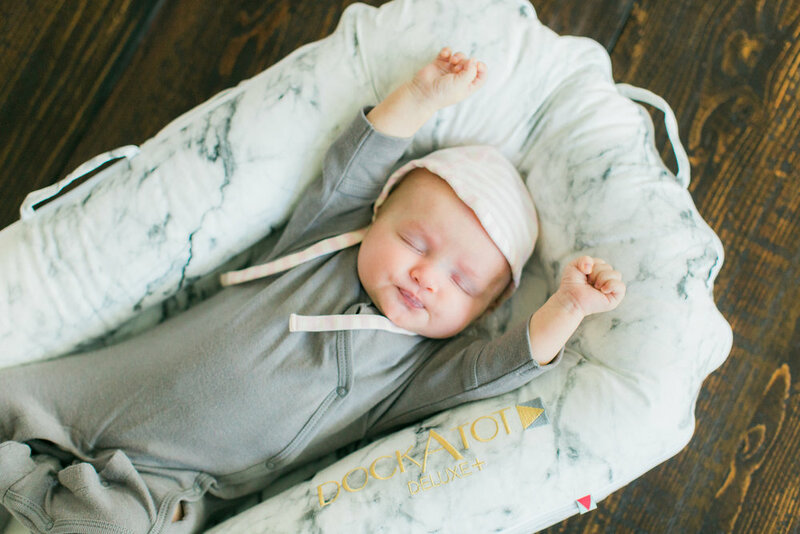 Shoot us an email, or check out the Dockatot Website here and use code DOCKCANDY10 at checkout for $10 off! My 3-year old son, whom still sleeps in a crib, recently expressed some interest in moving to "big boy bed" (aka toddler bed), which is great, however he is a MOVER AND SHAKER at night, constantly rolling around, and waking up in all different positions and directions at night. When traveling with my son, he sleeps on the floor in the same room as us, and we've found him under the bed, or halfway through the door completely asleep. I heard about a company called Dock a Tot from a good friend, and as mentioned I have received dozens of curious client emails regarding the Dock. The concept sounds fabulous, and keeping a consistent sleep environment when moving a child around from room to room (or moving into a new bed or house) is so crucial if you wish to keep healthy sleep habits. Preorder our 12-24M sleep guide! The company has two sizes, the "Deluxe" for ages 0-9 months, and a larger size "The Grand" that fits 9-36 month children. I wanted to order the Toddler-size for my son's transition from the crib to the toddler bed, so I teamed up with Dock-A-Tot and within a week our new Dock was at my front door step. After my kids initially fought over it, lounged in it, and even pretended it was a boat (who doesn't love a game of Hot Lava?! ), my toddler son was finally able to attempt sleeping with it for his first big night in his "big boy bed". HE. LOVED. IT. Which means I automatically loved it, right? Well not so fast; my children tend to like something for it's newness and then lose interest later on. But not his Dock- it's been nearly a week now, and he refuses to sleep without it, yells at his baby Sister when she even thinks about "pretending to sleep in it", and even drags the entire thing down a flight of stairs when I'm not looking to lounge in it while drinking his milk and enjoying his early morning cartoons! Soon he'll be playing tug-of-war with another lady: his baby cousin, Olivia. While on Auntie Duty, I was able to answer client emails, do my dishes, feed my two toddlers AND bake cookies while 5-month old Olivia was safely playing in Jack's Dock. PERFECT solution for the crib-to- toddler bed transitioning. A big new bed can be a scary place without the safety of your crib slats surrounding you when you're a young child, and the Dock can help provide some of that lost comfort in a small child's surroundings. This cozy sleep solution can assist children in feeling secure & safe, while serving as a consistent sleeping environment while transitioning to their own room or a toddler bed. Consistency in where a child sleeps is KEY to nap lengthening and uninterrupted sleep at night! (*it's also important to note that the smaller version, the Deluxe for 0-9mos old is not intended for use in cribs or bassinets for safety reasons, only for supervised napping and playtime). It has big, thick breathable sides to keep children (like mine) from constantly rolling out of their toddler beds. It's eco-friendly. This is a big one that we don't often think about, but most children's mattresses are made with harsh chemicals and need to be covered with an allergy cover. Unlike a mattress, Dock-a-Tot is hypo-allergenic & Oeko-Tex Certified (meaning free from harmful chemicals and only using fabrics/fibers made without scary pesticides). It's PORTABLE. Making life & nighttime SO. MUCH. EASIER. when we travel overnight to Grandma's or on a mini vacation to the beach house or mountain. Also the perfect solution if your child needs a safe area to be set down in, or if he or she naps in a separate room. It's washable. Yes, even though my children wear Pull-Ups at night, they still leak from time-to-time (anyone have any good overnight suggestions?!) Thankfully you just slide the cover right off, and throw it in the washer, and tumble dry. Easy to put back on, nothing like the crazy acrobatics you endure while changing a crib sheet. It fits a standard size crib. We started by first taking off one side of my son's convertible crib before turning it completely into a toddler bed with a full-size mattress, and the Dock fit the crib, and was easily put on top of his big mattress with no problem. They have changeable covers. So if you're handing down a Dock to a younger sibling, you can easily purchase a fun new print. It's all about matching the decor, right?? Shhhh....for SATC readers only......Click here to receive $10 off your first Dock-A-Tot using code DOCKCANDY10! Sign up for our insiders group! What is your experience with the Dock-a-Tot? Did you notice a difference once you purchased one? Are you still on the fence? 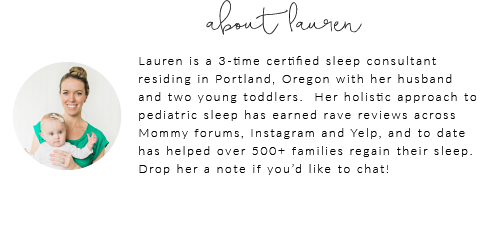 Contact us here or Visit our other "Sleep Must Haves" and help your baby start sleeping better tonight!